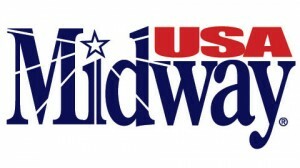 MidwayUSA, a catalog and Internet retailer offering Just About Everything℠ for Shooting, Reloading, Gunsmithing and Hunting, will celebrate their 34th Anniversary on Friday, June 17, with their employees. MidwayUSA has experienced a significant amount of growth and change in thirty-four years. The first decade brought an entry into mail order, a name change to Midway Arms, Inc. and closure of the retail business to focus on mail order. The second decade saw a major product expansion, the launching of an international division and the establishment of the MidwayUSA name. The third decade saw continued steady growth and witnessed the creation of an award-winning website, the debut of a Master Catalog and the launch of the GunTec division. The last several years have brought a Missouri Quality Award, a Malcolm Baldrige National Quality Award and an ISO 9001:2008 certification to MidwayUSA. Both MidwayUSA and the Potterfield family have generously supported the NRA over the years, both in personal contributions and the start up of two important NRA Programs. The NRA Round-Up program was created by MidwayUSA in 1992 and has raised over six million dollars for the National Endowment for the Protection of the 2nd Amendment. The Friends of NRA (FNRA) program was also created by MidwayUSA in 1992 and several “friends of the company” from the local community. FNRA has generated millions of dollars for shooting programs all over the country.